Congratulations to the 85th Academy Awards winners for the Academy Award for Outstanding Production Design: Jim Erickson and Production Designer Rick Carter for LINCOLN ! And kudos to Katie Spencer and Production Designer Sarah Greenwood for their nomination for ANNA KARENINA. See below for a glimpse of each film! For full list of Production Design Oscar® nominees click here. 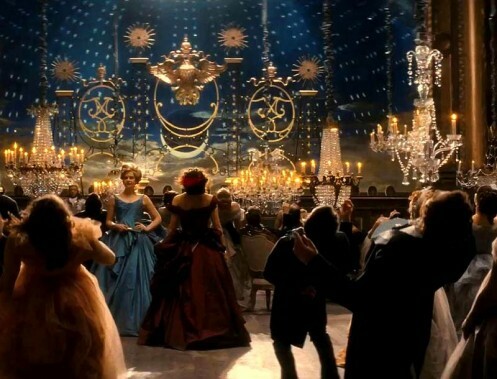 Director Joe Wright, Production Designer Sarah Greenwood and Set Decorator Katie Spencer SDSA have again dazzlingly collaborated on a unique cinematic approach to a classic novel. Staging the film ANNA KARENINA within a decaying, sprawling theater offers a metaphor for Russian society at the close of the 19th century, a time of complete artifice where the aristocracy determinedly tried to emulate the décor and manners of Paris rather than embrace their ethnic roots. Each part of society is interpreted through a component of the theater, which we see transformed even as the story takes place. At once painterly and realistic, often anchored by a key piece or pieces, whether a single street lamp at the train station or crystal chandeliers of every size at a soiree, gilded mirrors or a reflection in a curtained window, a sleigh bed in a nook or a damask-draped four-poster fronting a Russian Imperial mural, every set instantly and deeply reveals another aspect of the characters and their personal journeys. Photo © 2012 Focus Features. All Rights Reserved. Spielberg also notes, “I wanted everybody to feel that there was a real sense of authenticity on the set.” Thus, he brought in Production Designer Rick Carter and Set Decorator Jim Erickson SDSA and their teams to create an intimate, realistic and in-depth representation…a leap back in time, to 1865. Erickson found a small company specializing in re-creating vintage wallpapers, silk-screening layer upon layer to achieve the right look and patina. He also discovered a cache of actual gas-fueled chandeliers from the period, which determined the lighting Spielberg and Cinematographer Janusz Kaminski incorporated throughout the film. Photo by David James © 2012 Dreamworks & Twentieth Century Fox. All Rights Reserved.